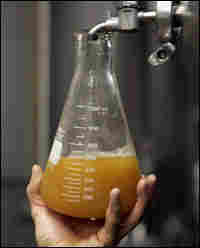 The Science Of Making Great Beer How do yeast, water, hops and grain combine to form a lager, pilsener or ale? The process requires careful supervision and tightly controlled conditions. Expert brewmasters explain how temperature, timing and ingredients all factor into making an excellent beer. It's a science: Temperature, timing and ingredients all factor into how a beer will taste. Above, a brewer takes a sample of beer from a tank at Lagunitas Brewing Co. in Petaluma, Calif.
A worker at Chicago's Goose Island Brewery prepares a 7,100-gallon fermenting vessel to receive a fresh batch of beer. 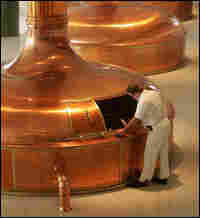 A worker checks the brew — heated barley mash mixed with hops — in giant copper vats at the Prazdroj brewery in Pilsen, Czech Republic. 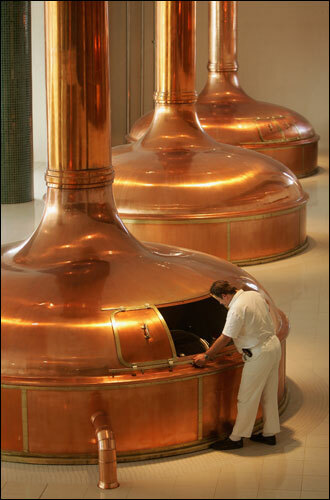 How do yeast, water, hops and grain combine to form a lager, Pilsener or ale? The steps in the brewing process — malting, mashing and fermentation — seem simple enough, but the process requires careful supervision and tightly controlled conditions. In a special live broadcast from Milwaukee, Wis., the region's best brewmasters talk with host Ira Flatow about how temperature, timing and ingredients all factor into making an excellent brew. Malting allows the barley to partially germinate and is followed by a roasting process. Mashing heats the grain in water, to convert some of the starches into sugars. 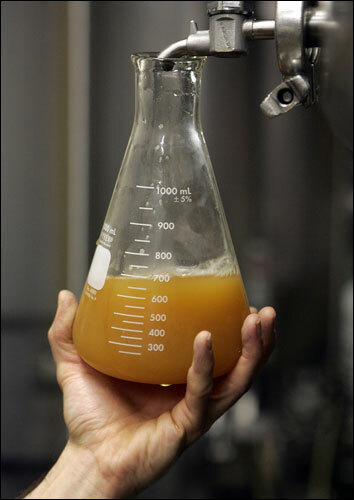 Fermentation converts the sugars into alcohol. 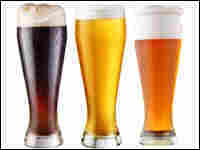 Callers weigh in with tips for home brewing, and an expert beer taster explains what to look for in a beer. 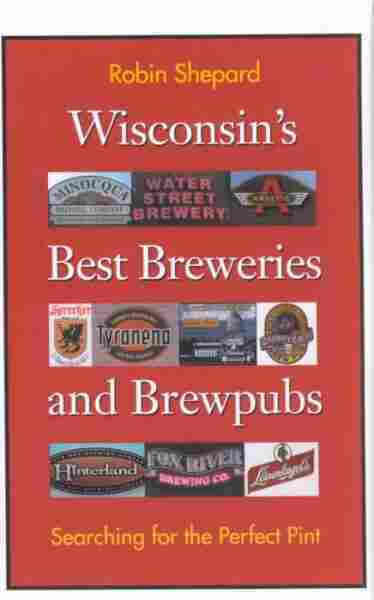 Also, the author of a book on Wisconsin's best brews explains the natural resources and cultural heritage that put the state on the beer lover's map. Russ Klisch, president and founder of the Lakefront Brewery, Milwaukee, Wis.
Kirby Nelson, brewmaster at the Capital Brewery in Middletown, Wis.
David Ryder, vice president of brewing, research and quality assurance at Miller Brewing Co.